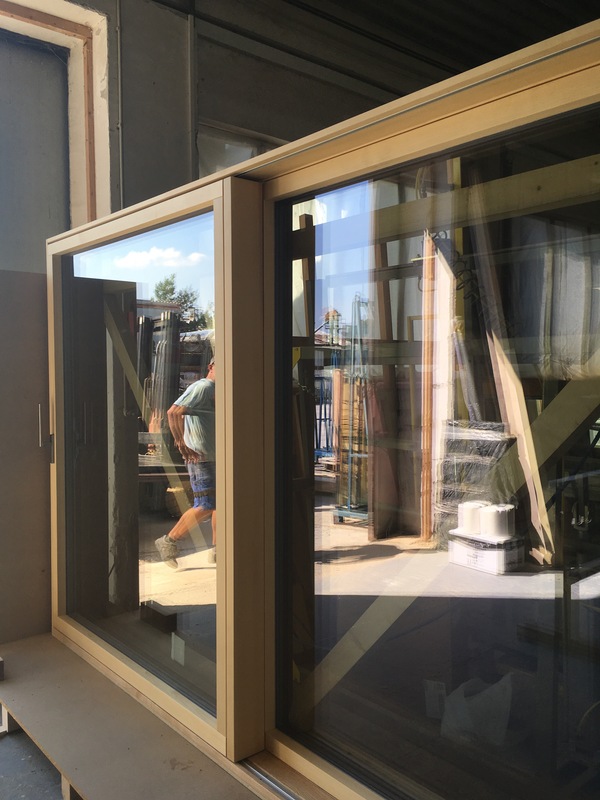 As if the week wasn’t quite packed enough with action, we took delivery of our Smartwin passivhaus windows & doors on Friday. It’s been a bit of a logistical conundrum – due to recent wet weather the artic lorry could not park along the verge near the site, so we offloaded half the windows in a layby and the big sliding doors & main antrance door at the nearest industrial estate with a help of forklift truck. 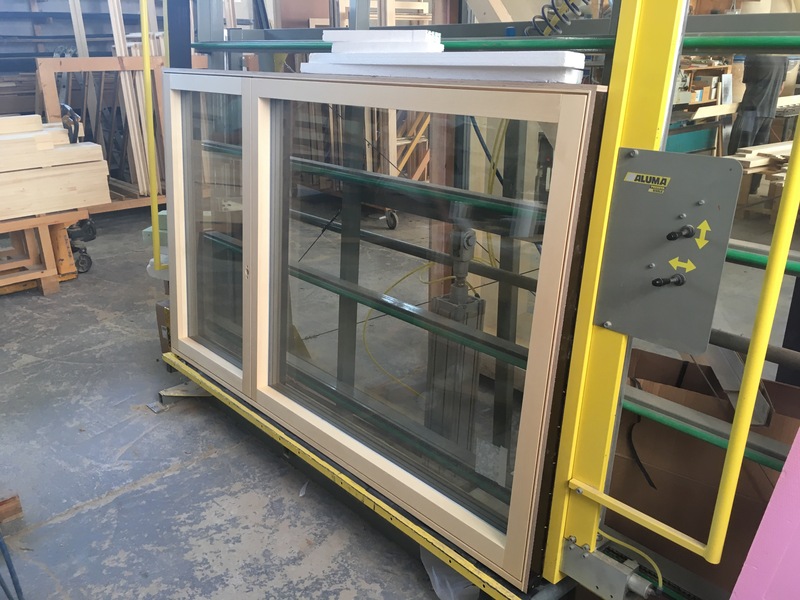 Those triple glazed sliding doors are pretty hefty at 300+ kg! It was very satisfying to see the sliding door put in place only 9 days after starting the timber frame. All the planning, coordination and detailed design over the past few months has definitely paid off! Hopefully next week is going to be dry enough to allow us install woodfibre boards on roof and provide the much needed protection for the straw panels. Windows and doors play a key role in how the building feels and performs. They have to balance visual appeal with daylighting, thermal & acoustic performance and overheating. Many architects’ dream is to have slimline profiles, but this usually comes at a cost and/ or thermal performance penalty. We’ve chosen Smartwin timber windows with aluminium external trims for low maintenance and warm feel from inside. We’ve used a few ground rules for windows design: keep things simple, minimise mullions, have opening lights only where needed, keep sizes to sensible (read: affordable) dimensions, provide adequate shading. 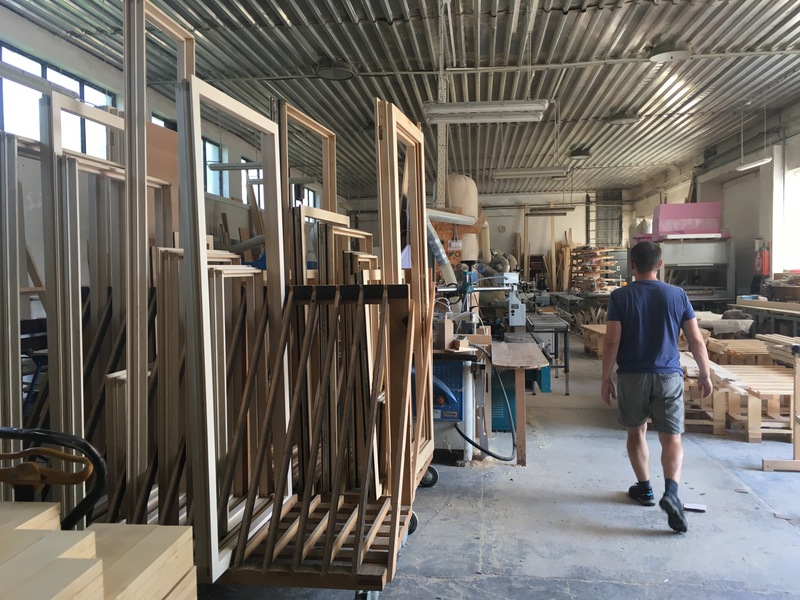 It has been super exciting to visit the factory in Slovakia where our passivhaus windows & doors are made. They marry high performance with simple, elegant design – really can’t wait to see them delivered to our site.